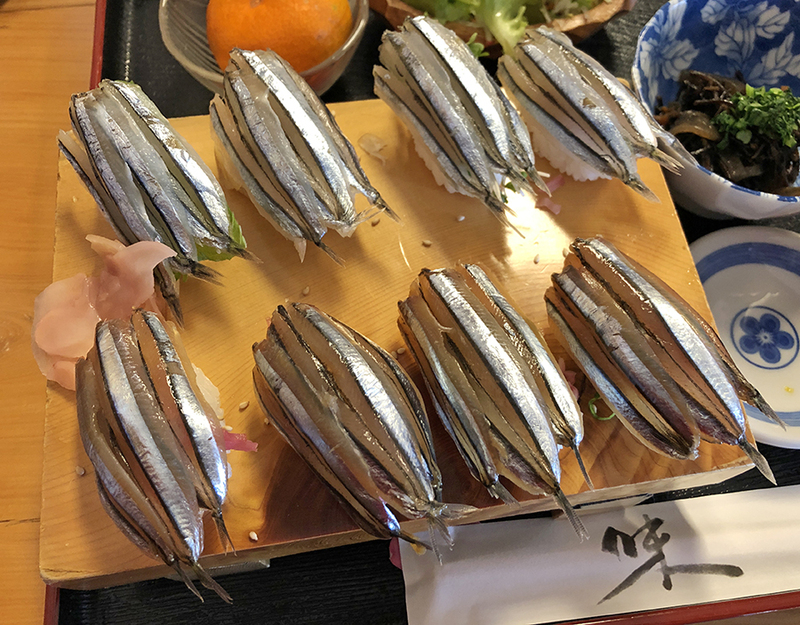 Kibinago Sushi Ajisen (きびなご寿司味千) along the coast of the Izu Peninsula is a culinary delight for those who love sushi and would like to try something unique. 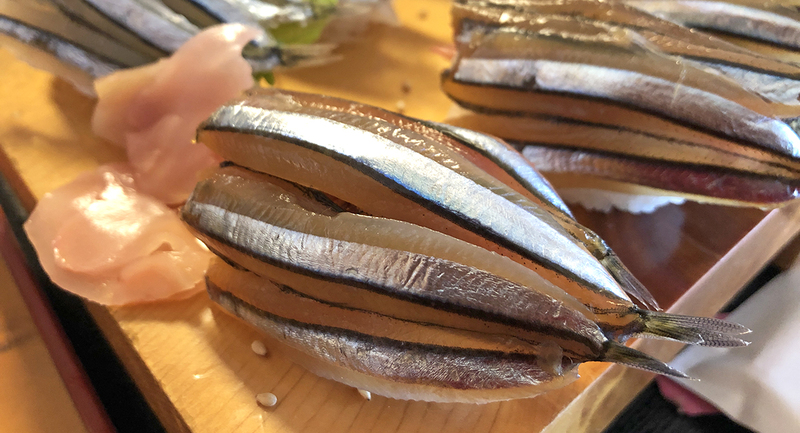 Kibinago is silver-stripe round herring and is quite a valuable fish in Japan. 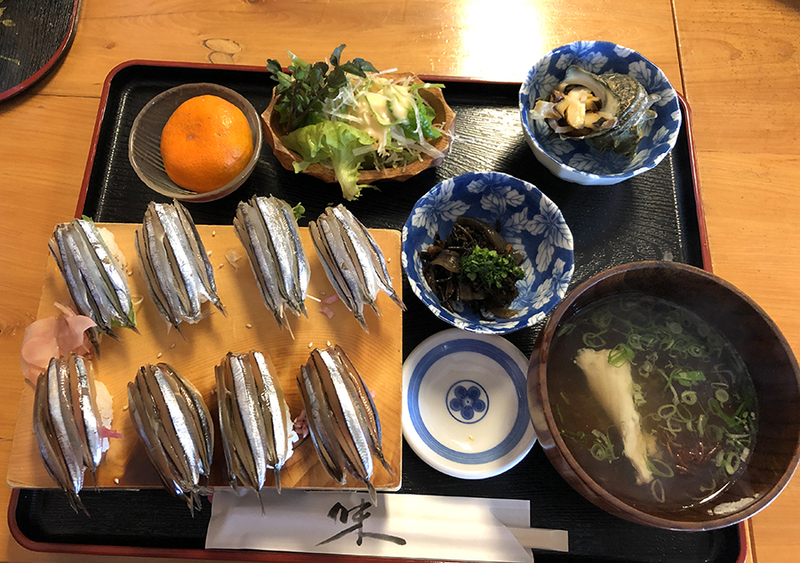 Ajisen serves one sushi set meal with eight pieces of kibinago sushi, miso soup, salad, two side dishes (in this case, steamed mushroom and turban shell; a hijiki seaweed salad), and a dessert (usually mikan, a Japanese citrus). 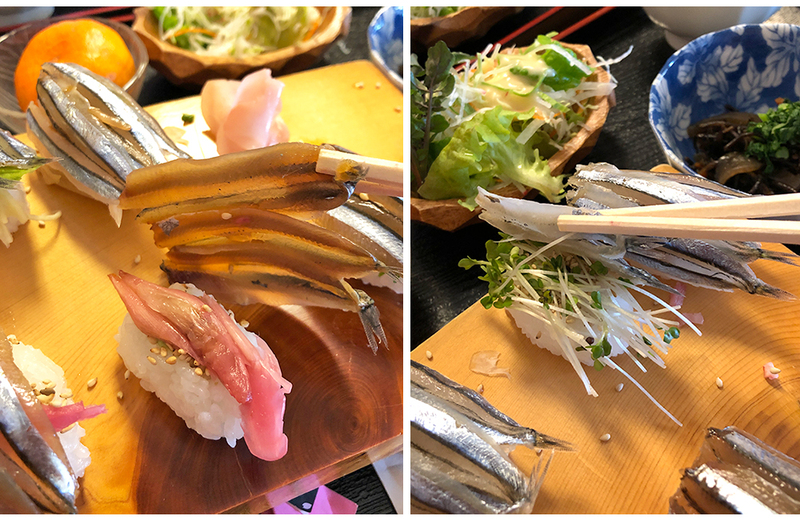 At first glance, it seems like each piece is exactly the same and you are instantly aware of how precise and finely each piece of fish is cut. 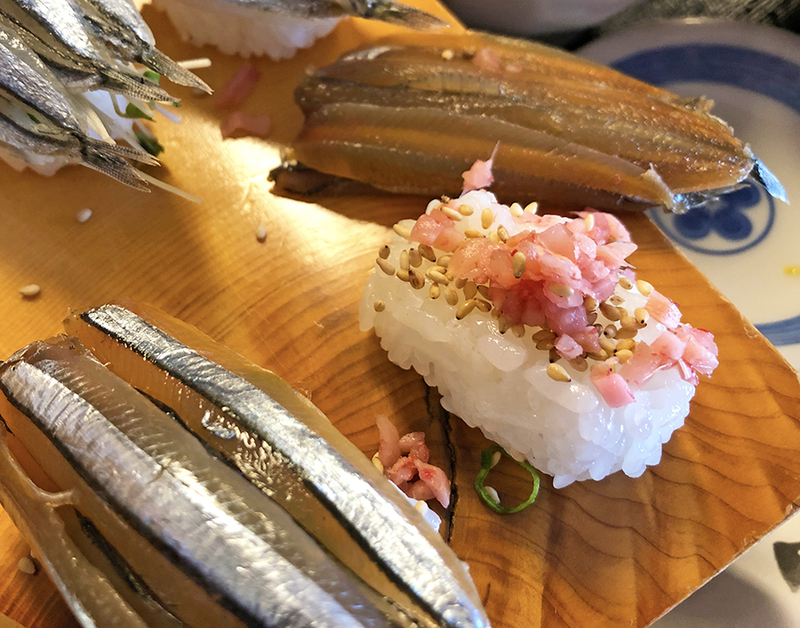 As you take the first bite, you would expect the standard sushi flavors of raw fish, wasabi and rice. But to our surprise, between the rice and the kibinago was a layer of sesame and finely chopped ginger. 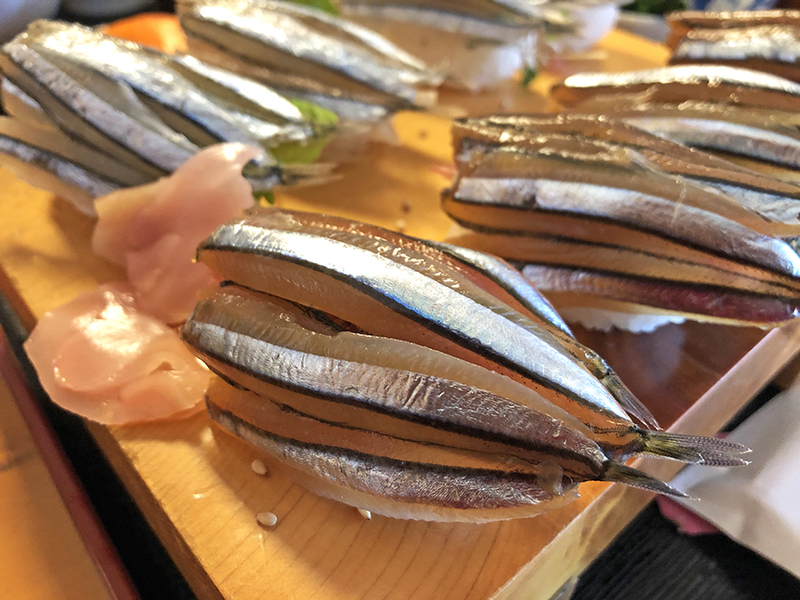 Under each shiny herring was a different ingredient: radish sprouts, pickled myoga (Japanese ginger), pickled ginger, shiso, finely chopped green onion. These may vary depending on the season. 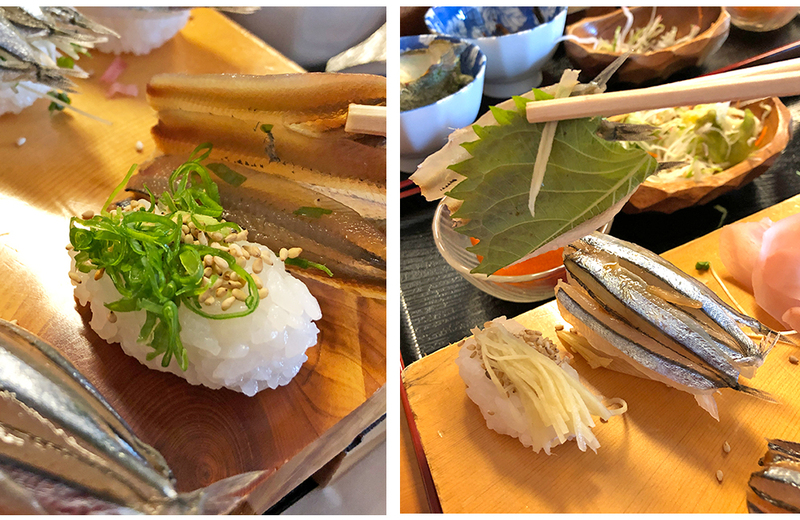 Each piece was a flavor bomb and for a minute, you forget that you are eating sushi. 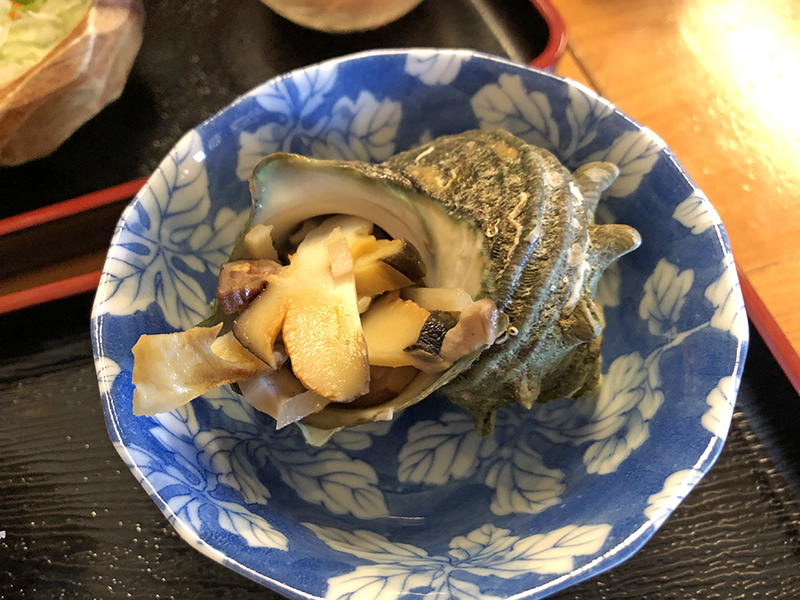 The steamed mushroom and turban shell along with the miso soup full of intense seafood flavor teamed well with this original sushi. Even though it cost 1,700 yen (incl. tax), it was worth every penny. 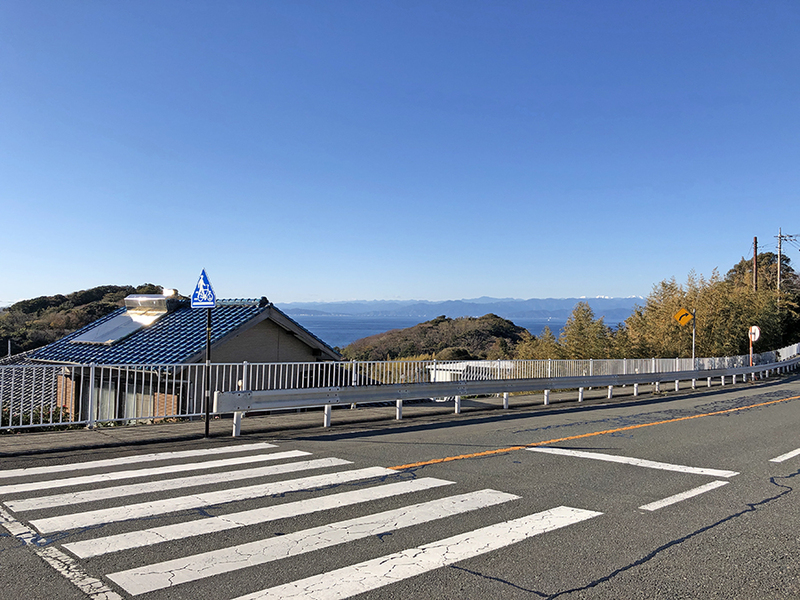 Unfortunately, this restaurant isn’t easily accessible by public transport although you can take a bus from Shimoda or Mishima station or from Dogashima Onsen, a popular tourist spot in Izu. 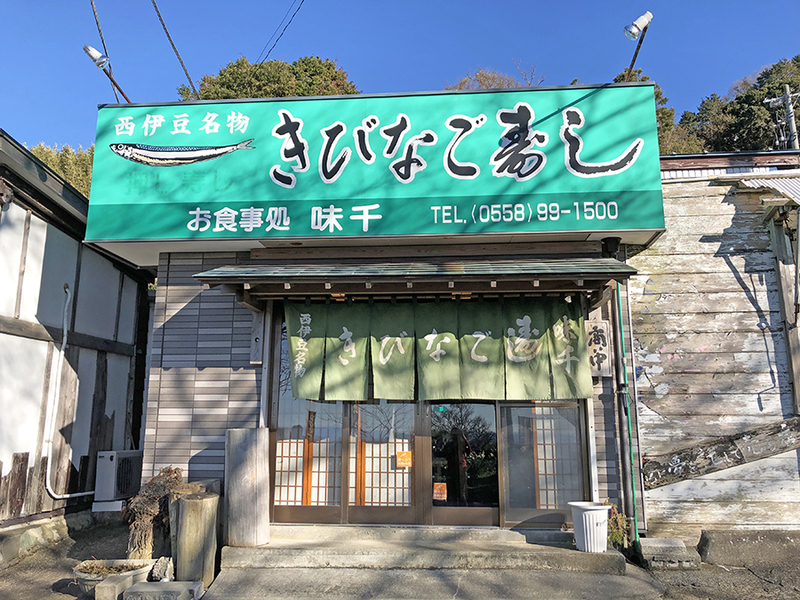 If you’re into Japanese food and looking for something different, take note of this place!